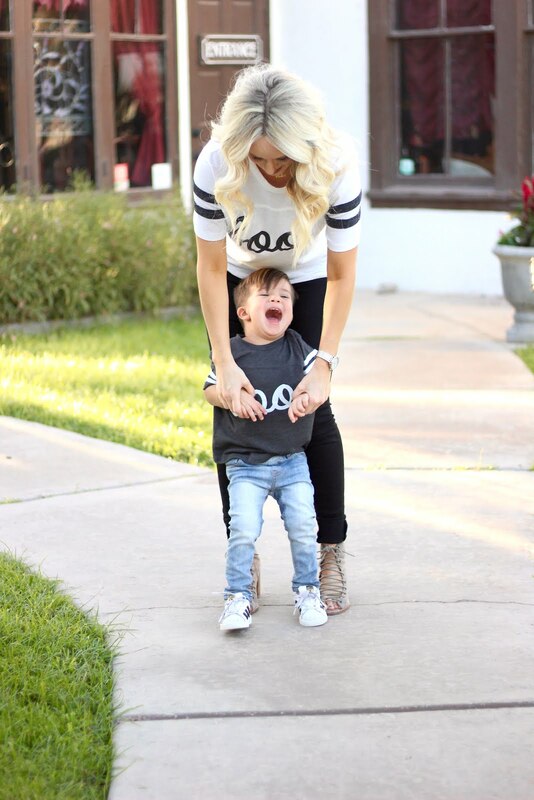 Top: Ily Couture | Denim: Mott and Bow | Heels: Jeffrey Campell | Watch: Charming Charlie | Lipstick: MAC in "Velvet Teddy"
Ever since these tees launched last year I have been dying for Hudson to be able to fit into them. There is nothing like the holidays and nothing like twinning with your little sidekick for the holidays. 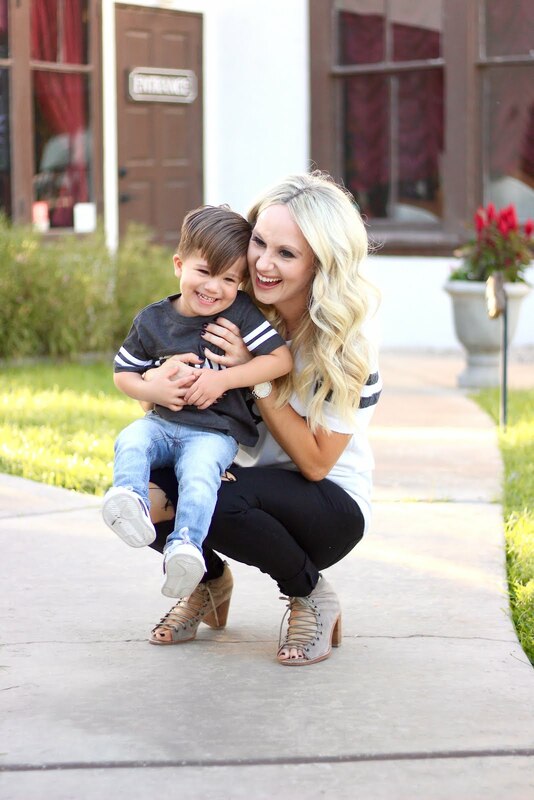 Doing a photo shoot with a toddler is ALOT of work, but when it's all over and I look at the pictures I think to myself I need to put him on the blog more often because I love all the photos so much! 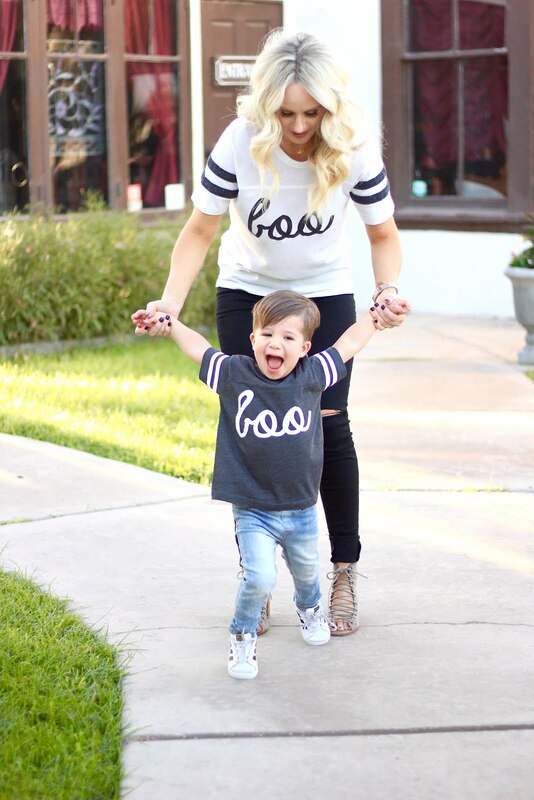 These tees are perfect if you don't like to dress up or for me I have these as back ups in case Hudson absolutely refuses to wear his costume, and in that case I will be sad. 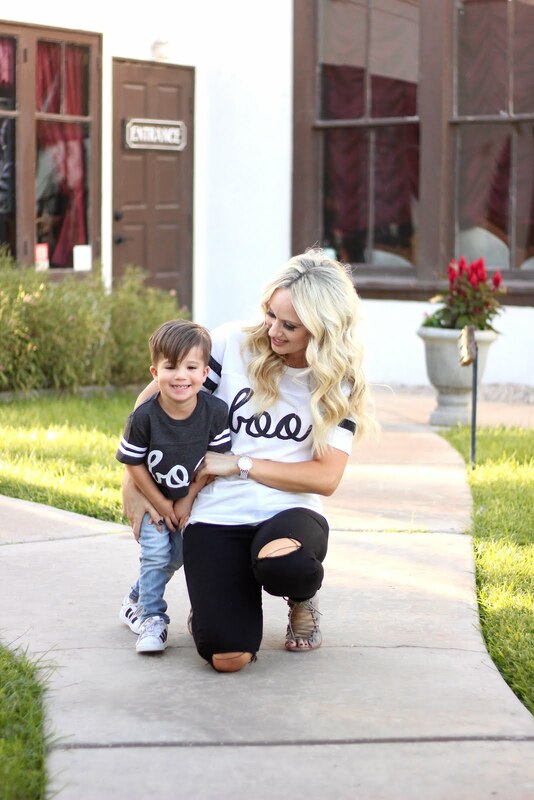 I have linked all the other mommy and me Halloween matching tees below in the widget. Because I want them all!